Samsung is expected to unveil the next generation of its Gear S3 smartwatch in Berlin this evening. If you want to tune in and watch the presentation, head to Samsung’s newsroom and following the streaming instructions. The event will be held in the Tempodrom at 6pm CET. We’ll also have plenty of coverage – so stay tuned for all the details. A pair of renders which are reportedly of the Samsung Gear S3 have appeared online. Published bySammobile, these images you can see below show a design that markedly similar to the previous generation. These images are from a Walmart listing for a screen protector cover for the Gear S3, reported Sammobile. Samsung will unveil the new wearable this week at IFA, and we’ll be there to provide with all the coverage. The Gear S2, released last year, sold extremely well. Upon release, daily sales of the wearable in South Korea were over double what the original Gear S smartwatch achieved. While Samsung’s global smartwatch sales still pale in comparison to Apple’s wearable figures, this growth is no doubt stoking the fires of Samsung’s desire to gain more footing in a still primordial market, which it has grown into through high-end smartwatches along with fitness bands, such as the recently released Gear Fit2. 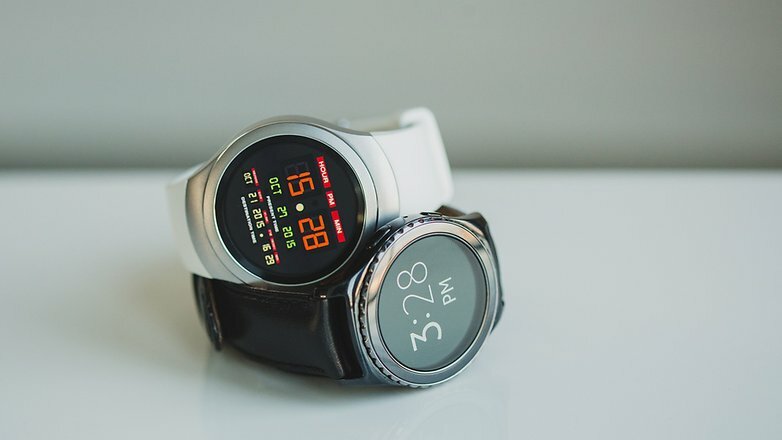 Indeed, Samsung has taken the initiative early on, breaking free of Google’s Android Wear platform to run its devices on its own in-house Tizen software, which the company has also been rumored to move its smartphones to. This stroke of independent thinking is another string to Samsung’s bow, adding to the solidity of its foundation in this burgeoning sector. 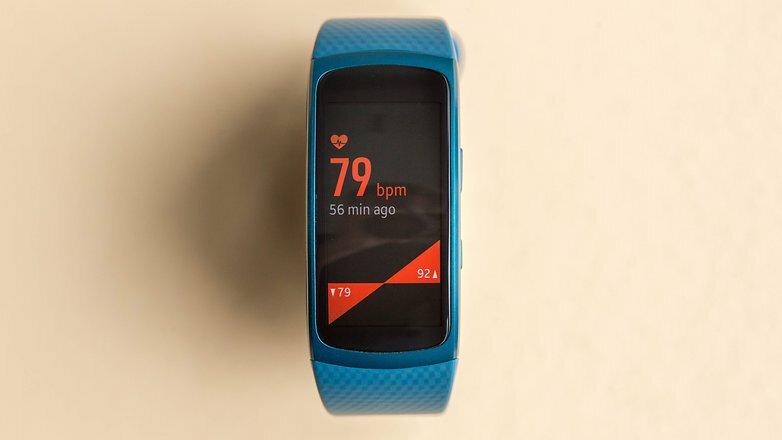 While many have prematurely heralded the demise of smartwatches, and their usefulness at this point in time is certainly open to question, the numbers tell of growth, and Samsung seems keen to continue pursuing its wearable interests. 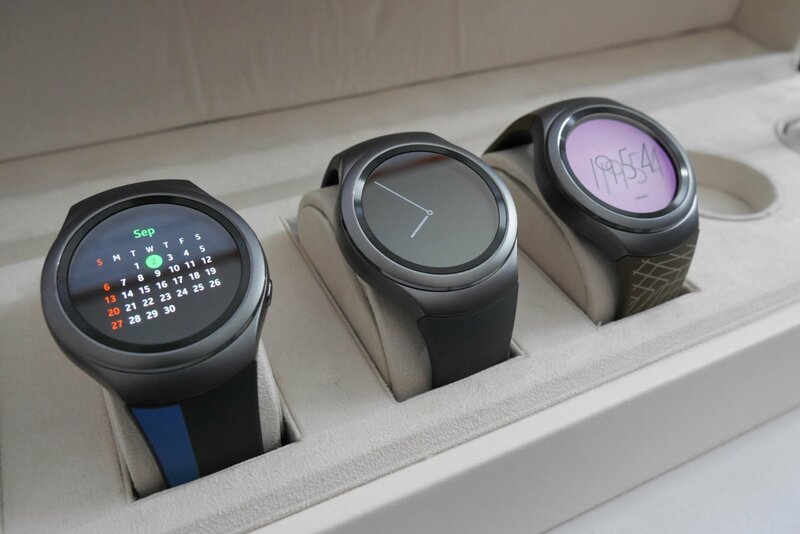 So far, we have heard rumors that the Gear S3 will arrive in the form of three variants. There is said to be a Gear S3 Classic, mirroring the S2 Classic, a Gear S3 Frontier and Gear S3 Explorer. It seems as though all variants will have a rotatory bezel, just like the Gear S2, but there will be a new array of sensors: an altimeter, barometer and speedometer, as well as GPS. There will also be additional buttons placed around the bezel and more easily interchangeable wristbands. It’s unclear at the moment whether these new features will extend across the entire range, or what exactly sets the different models apart, but given the names Frontier and Explorer, we can expect these two to have a more adventurous setup. With an unveiling at IFA early next month seeming very likely (the Gear S and S2 were both launched at IFA), an October release date would be a safe bet, as well.